Zippo Chinese Friendship Symbol High Polish Chrome | BUDK.com - Knives & Swords At The Lowest Prices! A Zippo lighter is one of the handiest accessories you'll ever own. 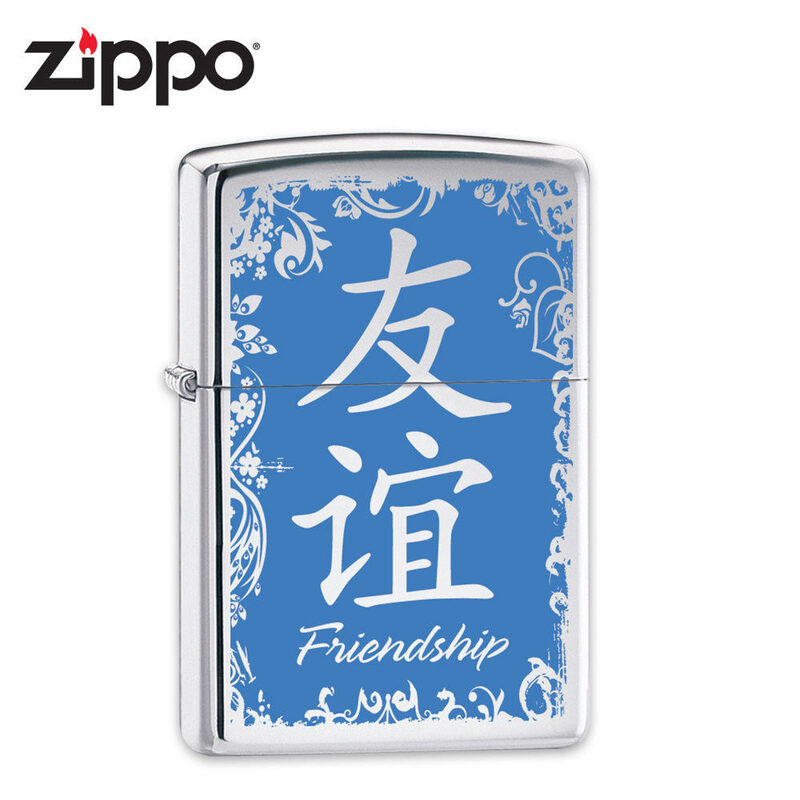 This Friendship chrome edition features Zippo exclusive artwork on the front of the lighter. A windproof design will always light and this Made-In-USA product also includes a manufacturer’s Lifetime Guarantee!